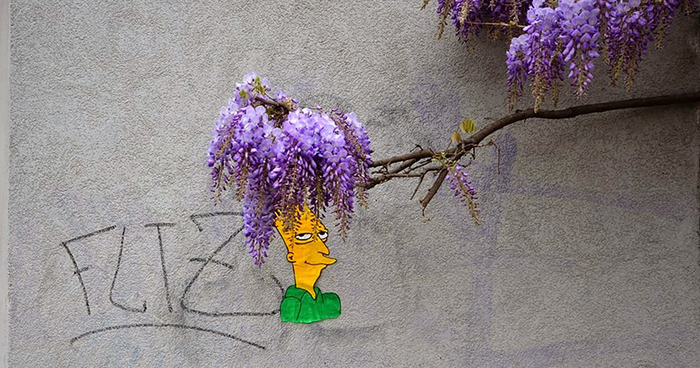 Sideshow Bob, the notorious serial killer from the Simpsons, just got a fabulously flowery new hairdo thanks to OakOak, a wonderful street artist based in France whom we previously wrote about here. 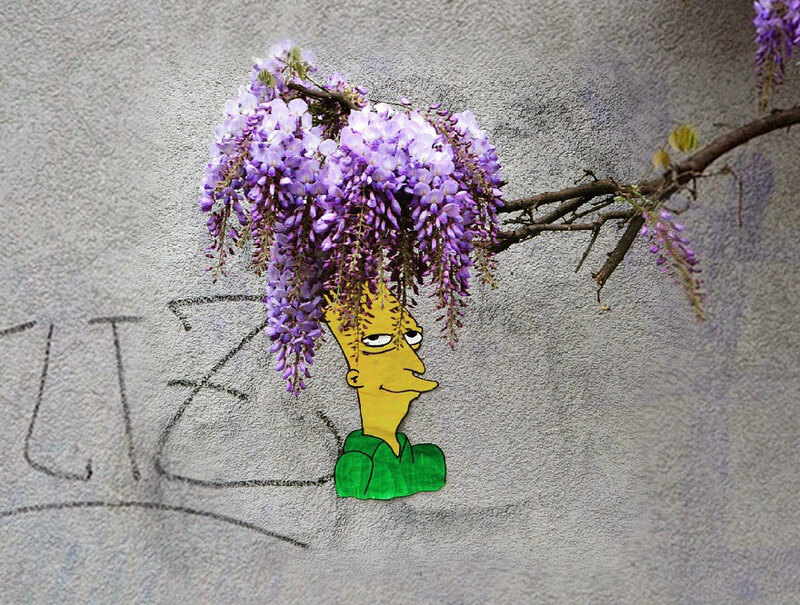 A branch with purple flowers in the streets of his native Saint-Etienne in France became the trademark mop-style hairdo for Bart’s evil nemesis. 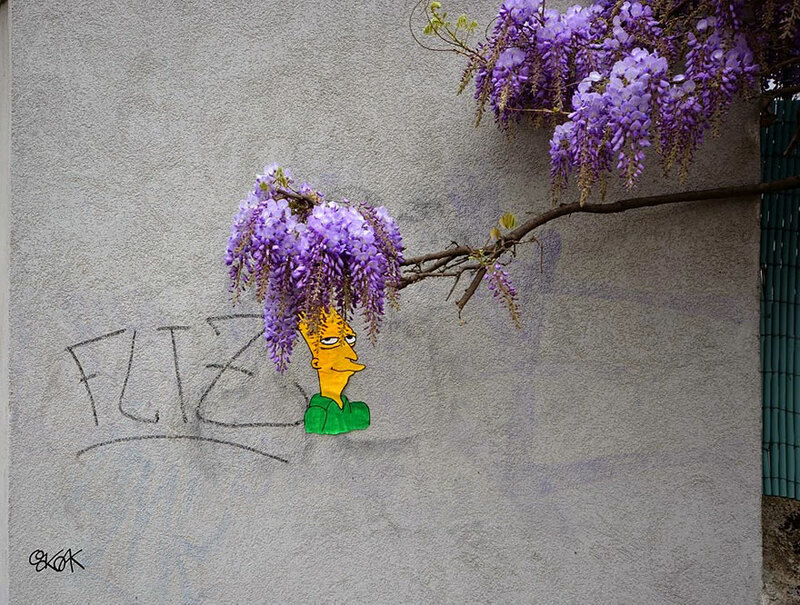 OakOak is known for his creative pieces of street art that make use of their surroundings to complete the piece. His other pieces are just as creatively placed as this one – sidewalk cracks, potholes, railings and manhole covers can all become parts of his artwork. 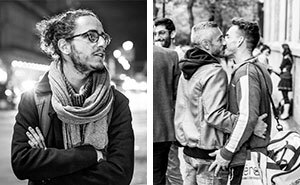 For more of his work, be sure to check out his website!